The Norway Brewing Company seems to be a good addition to the hot Maine (and New England) craft beer scene. It's location is out of the way, unless it is, of course, on your way to something else (Sunday River / Lake Sebago). Let's face it, it's probably what a town like Norway, ME needs. 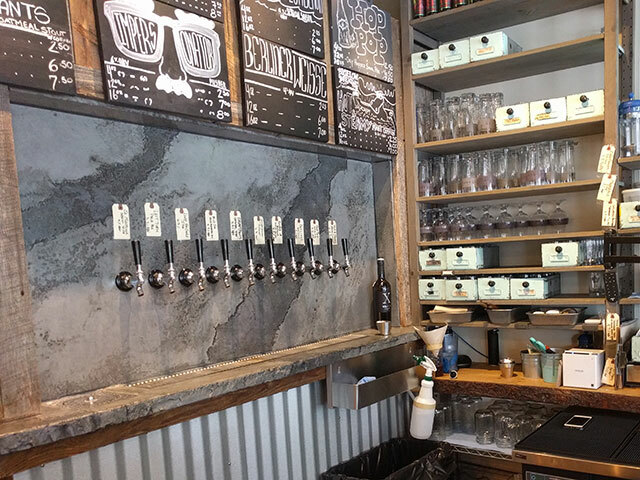 Where is Norway Brewing located? 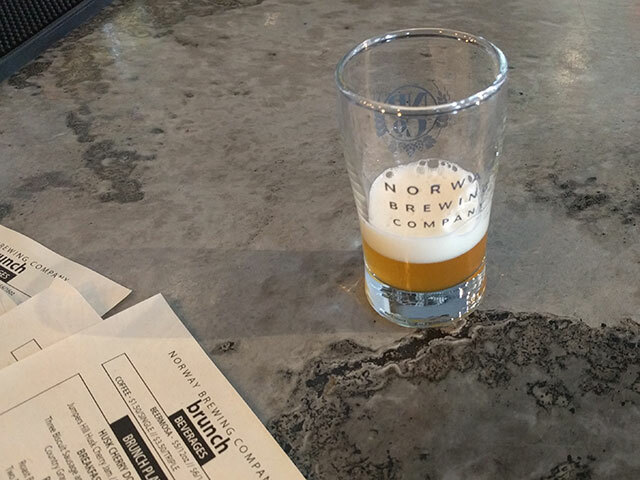 The Norway Brewing Company is located in Norway, ME, about an hour out of Portland. 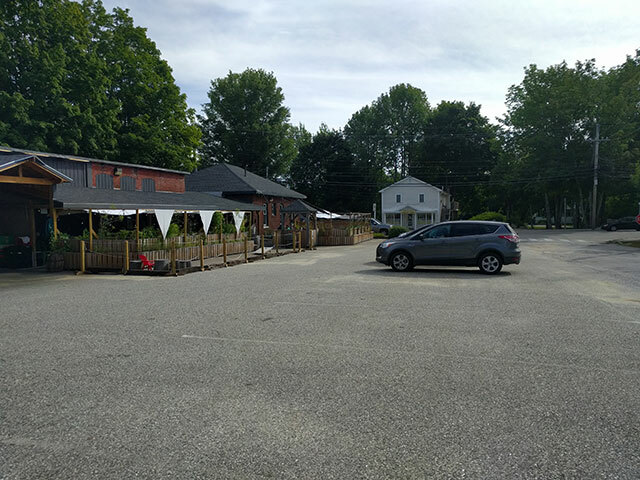 It’s a short ride to Sebago Lake (30 minutes) and about 45 minutes to the Sunday River Ski Resort. So, if you’re the skiing/boating type (who isn’t?! ), you can double dip a trip to Norway Brewing either on your way to your Newry Ski House, or stroll on up from your Frye Island Lake House. Forget coffee, imagine sipping a Mr. Grumpy Pants as you breath in the morning mountain air from your porch? Yes, we are advocating for a beer breakfast. The year-round taproom opened up in 2014/2015ish? Infinity Brewing of Vermont sold its equipment over to Norway Brewing, mid 2015. The beer garden was being worked on in late 2015 after a successful crowdfunding. Bartender, give me one of ... well, all of them, please. Yes. They even have a kids menu. What types of beer does the Norway Brewing Company brew? Pilsners, Pale Ales, Session IPAs, Oatmeal Stouts, Sours, Saisons, Wheat beers, etc. They offer 4 packs for about $10-12, and they are also generous on the beer flights, giving you six 4oz pours for $12. That’s a pretty reasonable price compared to someone other microbreweries … looking at you, Lone Wolfe. 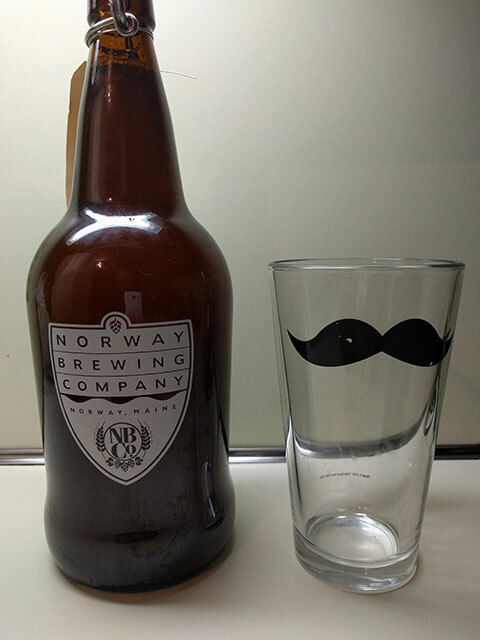 32oz Norway growler meet mustache pint glass! Red wine, White wine, and some bubbly. Didn’t see any mugs hanging. Does Norway Brewing serve food? Sure do. Looks like a fantastic menu filled with cheese boards, burgers, brisket, salads, and more. Next time we stop in, we are going to straight for the pulled pork poutine. They have hosted acoustic jam nights. So that’s something. Can I buy Norway Brewing Company beer in stores? It’s not well advertised, so … maybe? We are not exactly patrons of the local beer stores. Interesting fact to take note of … they shut the kitchen down for an hour (3-4pm) on Saturdays and Sundays. Be warned. 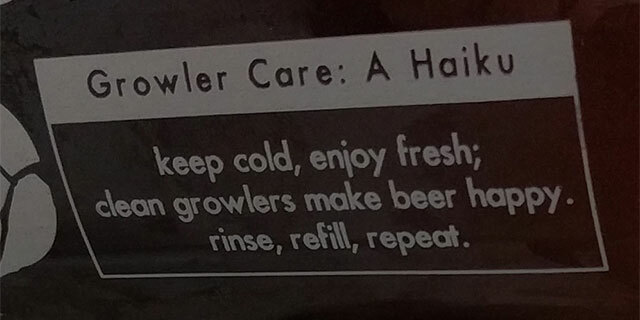 And, kudos to Norway Brewing for the growler haiku. Keep Cold. Enjoy Fresh. Done and Done.